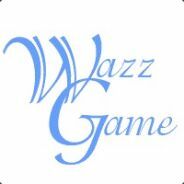 We are a gaming community with a variety of servers on CS:S and a server on TF2. All players are welcome to join our steam group as well as servers and have some fun! Just kidding, but if any of ya'll OGs wanna come hang out and play some games lets play some together. Reminisce of the old times we had! You'll might remember me as Whitey I'm trying to get back but I can't connect is Wazz still around?